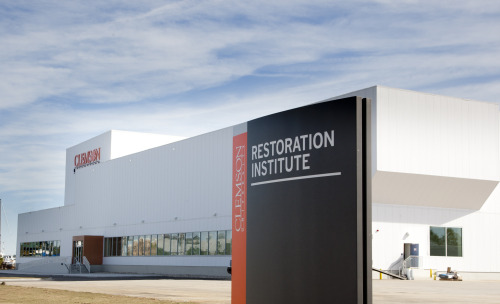 The Clemson University Restoration Institute (CURI) campus is capable of full-scale, highly accelerated mechanical and electrical testing of advanced drivetrain systems for wind turbines. Photo credit: Mahmood Fazal. A 15MW wind turbine drivetrain testing rig within the SCE&G Energy Innovation Center at Clemson University. Photo credit: Mahmood Fazal. New facility boasts world's largest wind turbine drivetrain testing capabilities. Duke Energy, together with SCE&G, joined Clemson University on November 21 to dedicate what is claimed to be the world’s most-advanced energy systems testing and research center. 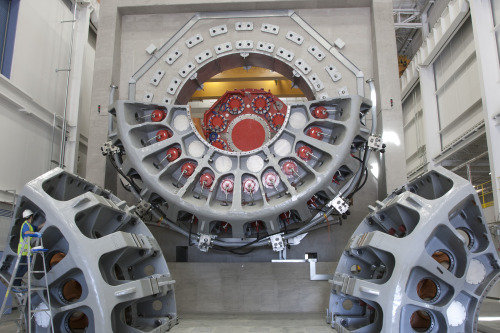 The SCE&G Energy Innovation Center, located at the Clemson University Restoration Institute (CURI) campus, is capable of full-scale, highly accelerated mechanical and electrical testing of advanced drivetrain systems for wind turbines. Testing and research at the Innovation Center will encompass many facets of the electrical market to help transform the electrical infrastructure into a more distributed, resilient and efficient system. Focus areas include: energy storage; solar energy; wind energy; traditional energy sources, such as natural gas and diesel systems; smart-grid and micro-grid technologies; fuel cells; aerospace systems; electric vehicle charging systems; and grid security, among others. Duke Energy named the 15MW hardware-in-the-loop grid simulator the Duke Energy eGRID — Electrical Grid Research Innovation and Development — center. The eGRID, housed in the SCE&G Energy Innovation Center, supports education, research and economic development to speed new electrical technologies to market. Duke Energy is contributing $5 million to help fund laboratory infrastructure and educational program development and fund a Smart Grid Technology Endowed Chair. Furthermore, Duke Energy employees will provide the center with ongoing technical expertise and resources. SCE&G supported the center with a $3.5 million gift. Duke Energy’s endowment was matched by the SmartState Program to establish two distinguished professorships.